It doesn't take long for me to lose boxer Andre Ward during an interview set up by the press team at HBO. Forty-seven seconds if you're counting—which I am, through the magic of modern digital technology. Ostensibly, Ward was on the phone to promote his rematch with Sergey Kovalev, a fearsome light heavyweight Ward had gotten off the mat to beat by decision last year. It should have been the crowning moment of his Hall of Fame career, a triumph over a bigger slugger most considered the most dangerous puncher in boxing. Instead, Ward ended that night back in November drowned in boos, with fans and media alike challenging the legitimacy of his win. Even seven months later, it's clear this isn't his favorite topic of conversation. "It's easy to focus on the negative," he says after suggesting I am a casual fan who doesn't understand the nuances of the sweet science. "A lot of times, that's what gets attention. I can't...I can't...really, that's a question for them." It's an abrupt dismissal of a reasonable question honestly asked. As I try to pick myself up off the proverbial canvas, much the way Ward did in the second round after a solid Kovalev right hand nearly ended the match that night, I find out the new champion isn't quite done with his haters. "I think part of the reason for not giving me credit, you have to date that back," he continues. "Some of those guys who have had nothing but negative things to say—no positive in there at all, always a situation where you're being marginalized or minimized—you do something they didn't think you could do, instead of saying, 'I tip my hat to the guy,' they just double down and look for a reason not to give me credit. "A lot of people don't want to see you win. It's that simple. A lot of people are salty when you win and continue to get your hand raised. At the same time, I try not to stay focused on that. It's been there for my whole career. It's just a lot of people noticed it more on this bigger stage." In the press room after the Kovalev fight, the idea that the media had any sort of agenda when it came to Ward was met with much snorting and scoffing. After all, the boxing press had been quick to recognize Ward's obvious skill when he arrived on the scene, and much effort had been expended over the years in vain attempts to get to know the man inside the boxing machine. But, as in most things, the truth lurks somewhere in the middle. While his excellence is easily acknowledged, many consider his copious skills to come with a commensurate level of responsibility. Ward is the heir to a legacy that extends back to Willie Pep and beyond—the fighter's fighter who dominates with craft and guile. A man like that, they reason, should go in harder, face fewer light touches and do more with his clear talent advantages than just eke out round after round. Ward is great, the thinking goes—but shouldn't he be just a little bit greater? In many ways, our exchange is typical of Ward's interactions with the media. 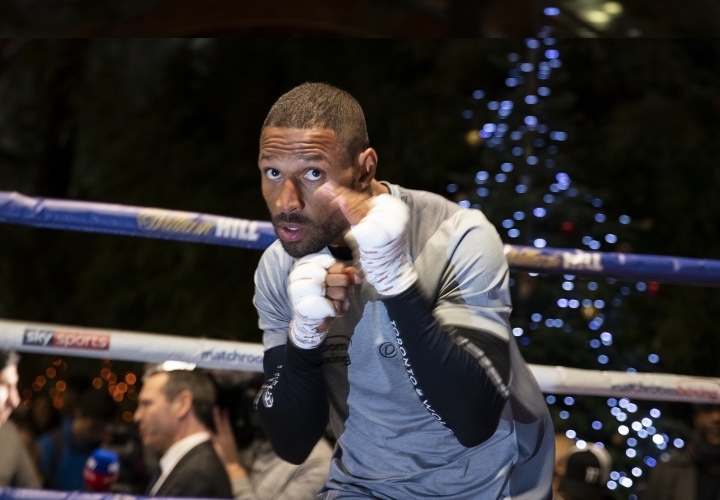 Encouraged by trainer Virgil Hunter to adopt an "us against the world" mentality, Ward has spent years all but pushing the boxing audience away. This, I'm told by venerable HBO play-by-play announcer Jim Lampley, is the soundtrack to two generations' worth of fighters' careers. Once the boyish sidekick of a wizened Larry Merchant, the 68-year-old Lampley has settled nicely into the role of boxing's elder statesman. As talkative as Ward is taciturn, it takes more than 10 minutes after asking my first question ("Ward comes from a long line of Olympians and technical geniuses. Men like Sugar Ray Leonard, Oscar De La Hoya and Floyd Mayweather. Why do you think he hasn't been able to capture the public's imagination the way they did?") before I get a chance to ask Lampley a second. "You would expect that the last American male boxer to win an Olympic Gold medal—still unbeaten and tremendously accomplished at this point in his career, nearly 13 years later—would have had a bigger and more galvanizing impact on the audience than has been the case for Ward," Lampley says, in part. "There's the mystery. There's something about him that doesn't invite you in. And I think audiences feel that and recognize it somehow, even if it's subliminal." While Ward's career was built on rival Showtime, he was signed in 2012 to be HBO's flagship fighter. To say things didn't quite work out that way is putting it lightly. After his dominant debut against Chad Dawson that year, Ward fought only twice more through 2015. While he was sometimes inserted into the broadcast team to maintain his profile, it's hard for a fighter to resonate with the public if he isn't in the ring doing what he does best. "He went more than two years without a significant fight except the one against his promoter," Lampley says. "The two times that California courts could have sided with him in that particular dispute, they went the other way. Boxing fans read that and wonder, OK, he's not fighting. He's not giving us whatever entertainment value he has. He's not letting us see how great he is by going in and taking fights on a regular basis. He would rather split hairs with his promoter in a dispute he does not seem destined to win. "That's curious and may be off-putting to fans as well." Boxing, increasingly, is about personality. The top stars have to connect with fans inside and outside the ring. Ward has no interest in doing either. Until Kovalev, the most memorable feud of his career, as Lampley referenced, was with his late promoter, Dan Goossen—legal battles that cost Ward dearly in the court of public opinion. If his lack of popularity is keeping him up at night, however, Ward does a good job of hiding it. "Some fans may not like what I do. I feel like I get love from the right people though. I get enough attention. I get enough love," Ward says. "I get respect from the most important group in the sport, and that's my peers. Whether older than me, the same age or the younger fighters. And that's something that doesn't make websites and people don't always get to see that kind of stuff. But that's what really matters to me. That's my lane. I'm content with that." In this, Ward and Lampley can agree. "He has enormous respect from former fighters," Lampley says. "They respect him on an uber level. There's a lot to admire about his skill, his awareness, his application of craft and his ability to make it work against many different styles. That's what he showed so demonstratively in the 168-pound tournament. That he could fight anyone from a slugger like Arthur Abraham to a boxer-puncher like Mikkel Kessler to guys with a high level of defensive craft and he could beat them all. "And, in every fight, he showed you something different. That ability to both apply technical craft and alter it according to the circumstance and the opponent's style and to ultimately make high-quality opponents look like they didn't belong in the ring with him was stunning. It skyrocketed him on pound-for-pound lists, and it attracted the admiration of everybody from a total technical craftsman like Bernard Hopkins to complete freelancers like Roy Jones." Ward, quite clearly, loves boxing as an art. That doesn't sound remarkable, perhaps, but many fighters secretly hate the sport that propelled them to fame. It's often a brutal grind, spitting once powerful men out as frail shadows of their former selves. But Ward has been blessed, starting his professional career as an Olympic gold medalist and obvious future star. Never one to engage in unnecessary slugfests for the enjoyment of the crowd, he's seemingly happy to give a seven if that's the extent of the effort required to win against overmatched competition, which is basically everyone. Ward does things in the ring you rarely see these days, a natural left-hander who maintains a righty's stance. That gives him the ability to control the action with his strong hand out front, befuddling those without his level of expertise. The sport, he believes, is dominated by what he calls "two-fisted" fighters, guys looking to slug it out with both hands. That's fine if you want to win some and lose some. Other fighters might be content with that, recognizing the excitement it generates is good for the bank book—but not Andre Ward. Pleasing the crowd is for lesser men. Ward is focused intently on results. Some may dream of knockouts. Ward, instead, sees technique when he closes his eyes. "They are swinging with two fists, which is fine, but you make the fight 50/50 when you do it like that," Ward says. "I was taught at a young age that the left hand, meaning the jab, can keep you out of a lot of trouble. It can set things up. If you happen to get into trouble, it can save you. And you can beat a man up with that one hand if you have an educated jab. That's the school that I come from." Ward proudly embraces an old-school mentality and label, crediting much of his imaginative style to his childhood idols and the rest to trainer Hunter. "It's the guys I grew up watching when I was a kid," Ward says. "Like, I stole the jab to the body from Floyd Mayweather. The lead uppercut, that's Roy Jones. The inside grind and grit, that's a little Bernard Hopkins. I think you see a mix of those three when I fight. "But you also see my own flair and my own style. When I was younger I wanted to do it just like they did it. It took my coach Virg pulling me to the side and saying, 'Look, I know you love these guys and they're your favorite fighters, but you've got to let Andre Ward come out of the vault.' And once I started doing that, things really started to work. I've evolved my own style after 20 years in the sport." Talking about his craft, you get a glimpse of a different Ward. Here, he's totally engaged. The sneer you can typically hear in his answers to most questions is gone. The drama of boxing is totally lost on him. To Andre Ward, there is only the ring. What happens there matters. Everything else is noise. Sensing my moment, I ask him about the Dawson fight, one of my favorites. People forget how good Dawson was, 10th on the list of pound-for-pound greats at the time and sporting a significant reach and size advantage. Ward dismantled him with startling ease. There's a sequence in the fight that has piqued the interest of many boxing writers interested in the sport's seemingly limitless artistic possibilities. Ward, in the middle of an offensive assault, switches stances to southpaw in order to better unload a left-handed haymaker, then reverts to his regular orthodox stance to continue battering his hapless foe. The level of difficulty here is extraordinary, and it's the kind of thing that brings Ward joy, both the moment and the question. "When you switch, you can literally see the look on their face," Ward says with a laugh. "They get wide-eyed like, We didn't plan for this. It's a good thing to do in the course of the fight or even in the middle of a combination if you get the right angle to switch and hit them with a punch. That's unorthodox and I love doing that. And I love to see the look on their faces when I do." Ward's technical brilliance has never been questioned. After the first Kovalev fight, his heart and determination are equally obvious. Not only did he get up off the mat, but he got up and imposed his will on an opponent who had victory in his sights. "A knockdown, especially for casual fans, is like, Oh my God, what happened? But I know what I have in me," Ward says. "And I know my coach too. That's not the first time we've faced adversity. God's given me a big heart, man. He's given me that bite down. I have the ability to bite down on my mouthpiece when I need to, even in the biggest moments. It was pretty cool to see the team move seamlessly to the next phase of the fight after that happened." For the remainder of the fight, Ward not only took control but actually left Kovalev slightly befuddled. He targeted the body, shortening the Russian's powerful jab and physically manhandled him inside, making the fight the kind of ugly scrap in which he excels. "Ward doesn't mind hearing the audience boo if he knows what he's doing is going to win him the fight," Lampley says. "It was the kind of fight in which he could gradually force Kovalev's confidence and swagger to seep away. Constantly giving Andre psychological command, round by round by round." Despite Ward's valiant comeback, most ringside had Kovalev winning a close, excellent fight. HBO's Harold Lederman represented the far end of the range, scoring the bout 116-111 for the Russian. The three official judges were at the other extreme, giving Ward the fight, 114-113. Their opinions, of course, are the only ones that matter when history is written. "These are tiny margins," Lampley says. "That's the way Hopkins used to fight. When Hopkins lost two fights to Jermaine Taylor, it was because he was cutting the margins too fine. Ward has not yet fallen prey to that moment when the judges don't see the brilliance of his sophistication and his unusual abilities in close quarters and in close fights. When that happens, he might wind up with a loss that he doesn't like." The fight should have launched Ward into immortality. Ward was coming up in weight to face a champion that fighters in the weight class have spent years running from. 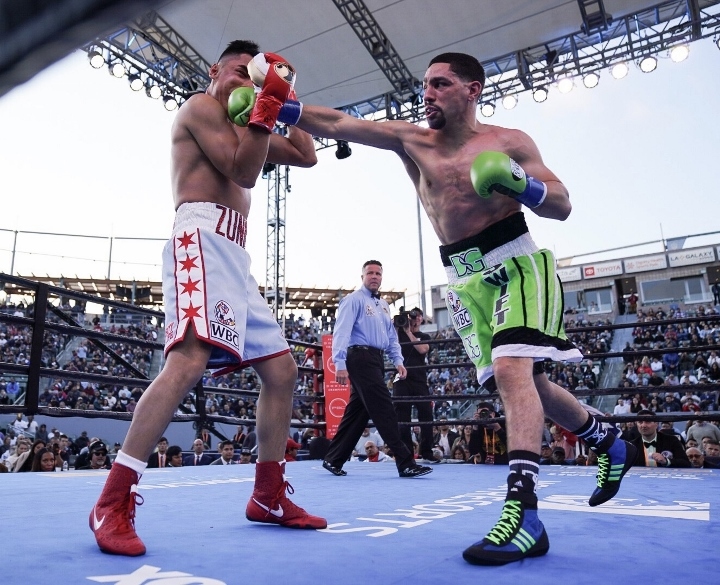 His was a remarkable display that should have solidified his place as boxing's latest hero. Instead, it left him the villain, sending him further into his bunker, where he occasionally emerges to send salvos flying toward both Kovalev and the media. "In his view and the view of Virgil Hunter, there's no question that he won," Lampley says. "Of course he won. How could you see it otherwise? That's basically the way Ward responded. If he did anything to penalize himself, it was not to acknowledge the fans and media who saw if differently. He would have done himself a favor if he had recognized there was a debate, welcomed the debate and used the debate to help promote the second fight. "It would have helped both of them if he had been more complimentary of Kovalev. It would have helped line their pockets a little bit more. If Ward had smiled and laughed and said, 'OK, there seems to be a lot of disagreement about this. I'm very happy that the judges saw it my way, and I think they are right, but for the sake of all you fans and media who think otherwise, let's do it again.' That would have been the way to welcome fans in. But he didn't do that." The nature of the first fight makes the rematch critical, not just in the moment but in the battle for history. This consideration may be premature, as it may be years before we close the book on Ward. Despite getting clipped by Kovalev, he feels his reflexes and physical skills remain at a high level. But while Ward is focused strictly on his contemporaries, his age (33) and record (31-0) make it necessary for observers of the sport to consider his broader place in the boxing pantheon. "I try not to think too much about it right now. I try not to do too much reflecting," Ward says. "I just keep my head down and keep working. The goal is to look up when it's all said and done, exhale and then assess the career. I let people say what they want to say and feel what they feel. "It's the way I was raised. I'd win a tournament when I was younger and we'd talk about it for two days and move on. My father and my coach, they were never overly impressed with me. Or, if they were, they didn't let on. It always had me reaching and grabbing for more. It's the same way in my pro career. Even after big victories, we'll go out to eat, but I've never had big celebrations. With my team, it's more like, This is what we're supposed to do. Rest up, let's get ready to work Monday morning. That's just the approach we take." Jonathan Snowden covers combat sports for Bleacher Report.